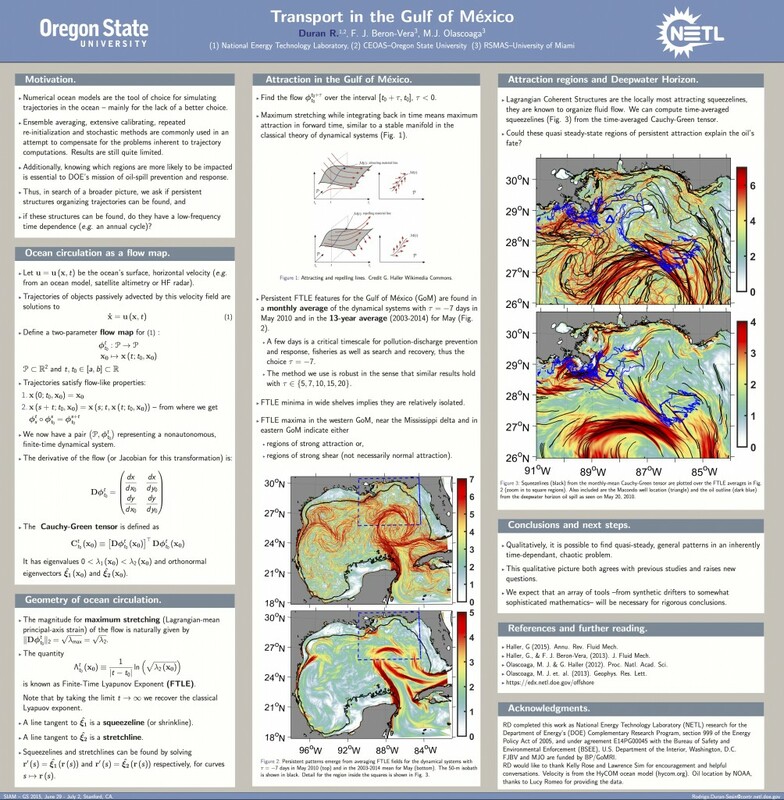 A team that included CARTHE scientists was awarded Best Poster in the Early Career Researcher category at the 15th SIAM Conference on Mathematical & Computational Issues in the Geosciences. The poster was titled “Transport in the Gulf of Mexico”, based on CARTHE/GoMRI research. 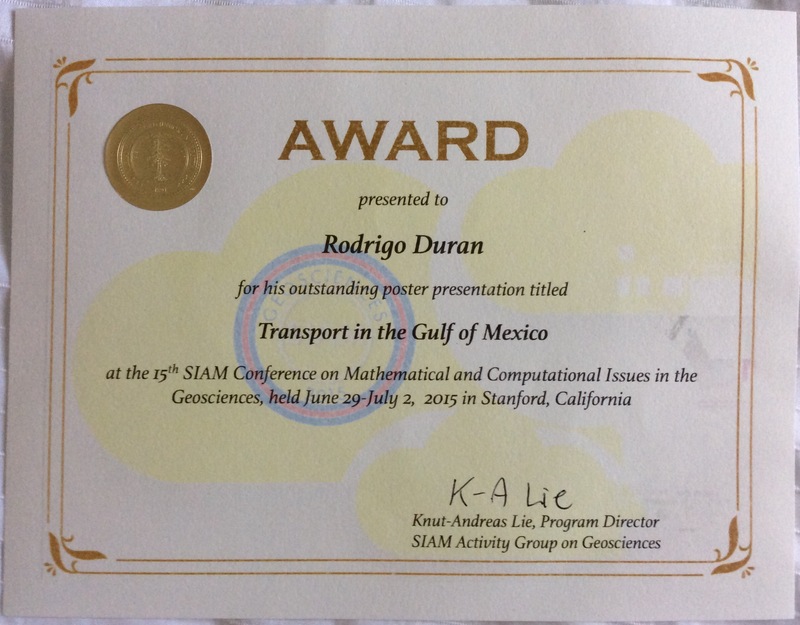 The conference was held in Stanford, California from June 29 to July 2, 2015. Congratulations to the team of Rodrigo Duran (CARTHE post-doc candidate/Oregon State University), Javier Beron-Vera (CARTHE/University of Miami) and Josefina Olascoaga (CARTHE/University of Miami).